Free online Levy C curve generator. Just press a button and you'll automatically get this fractal curve. 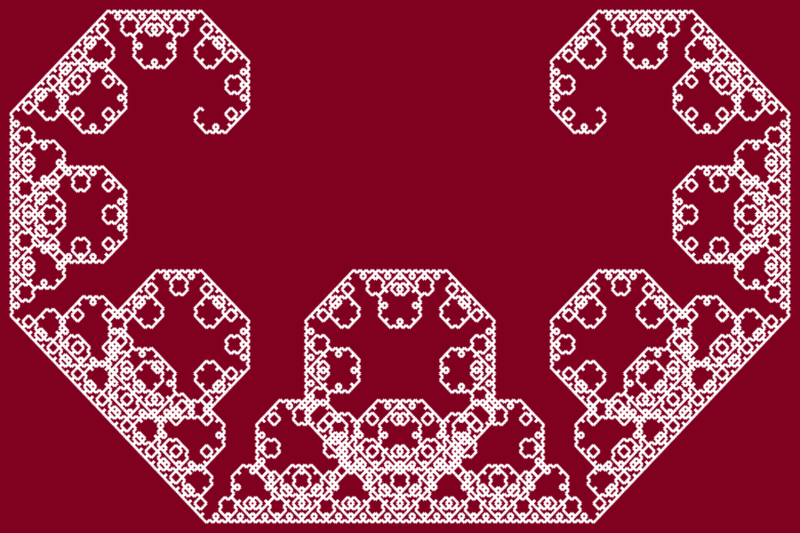 There are no ads, popups or nonsense, just an awesome Levy fractal curve generator. Press a button, get a Levy C curve. Created by mathematicians for mathematicians. Background color Levy fractal's background color. Line color Levy fractal's line color. Line Width Levy C curve's drawing width. Padding Padding around Levy C fractal. Levy c curve generator tool What is a levy c curve generator? This tool draws custom Levy C curves. A Levy C curve is an irregular, self-similar fractal structure that is built using 45 degree isosceles triangles. It starts as a straight line that is the base of an isosceles triangle and with each iteration this line is replaced with the other two triangle sides. 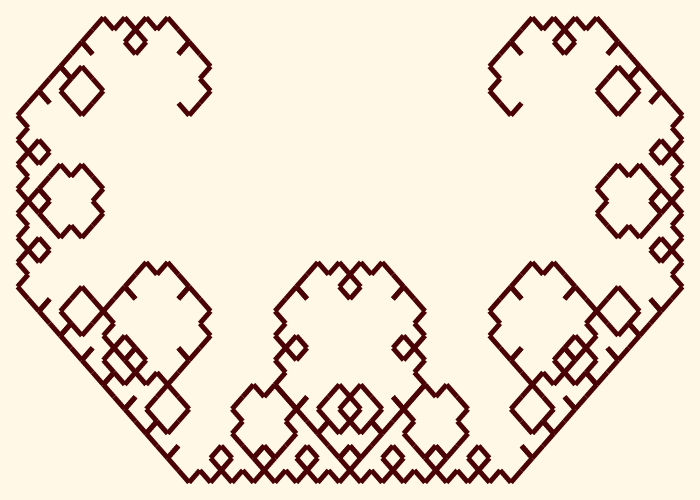 In this tool you can change the number of iterations to grow this fractal for. With each iteration the fractal changes and the limiting case is the Levy C curve itself. Temporarily we've set the limit of iterations to less than 23 because generating very detailed curves require very powerful computers and just takes too long on regular computers. You can create your own multicolored Levy C curves by choosing colors for the curve line and background. In addition, you can choose the size of the image, change the thickness of the curve and set a padding distance from the curve to the edges. Mathabulous! This example draws a 7th order Levy C curve. This pattern has a large 25-pixel padding and curve line width of 5 pixels. 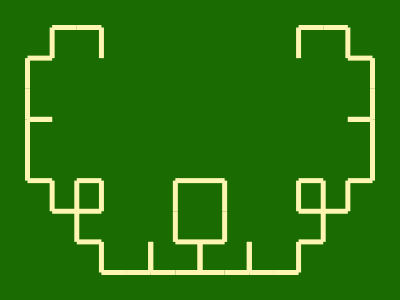 This example creates a Levy C curve with 10 iterations and draws it on cream-colored rectangle with size of 700x500px. This example sets iterations to 14 that generates almost a prefect Levy C curve. To make the curve look more beautiful, the burgundy background color is used and white color of for the curve is used.